A simple sweet posy of baby’s breath and three white roses. 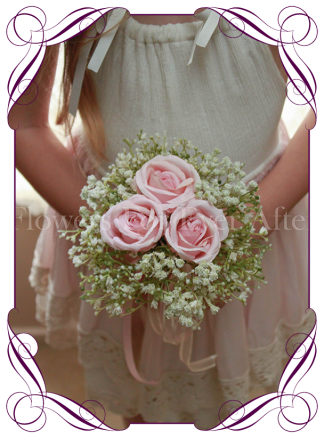 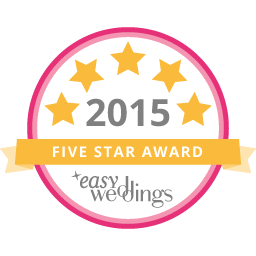 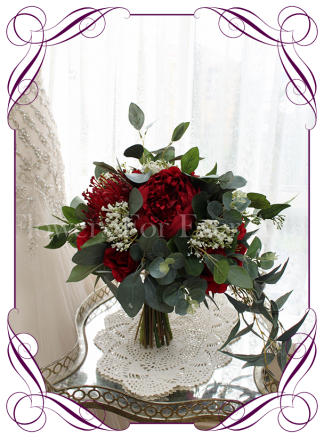 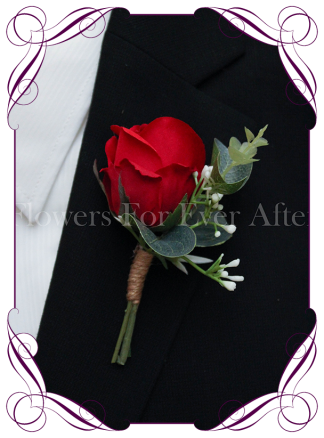 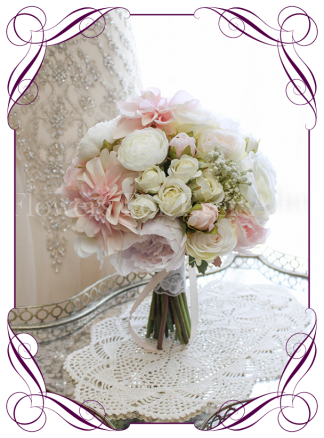 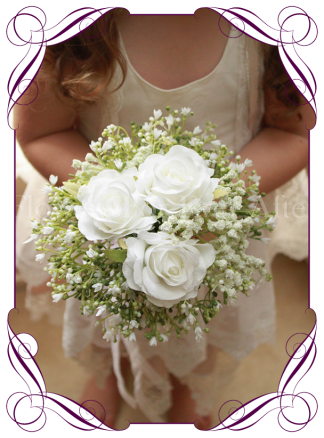 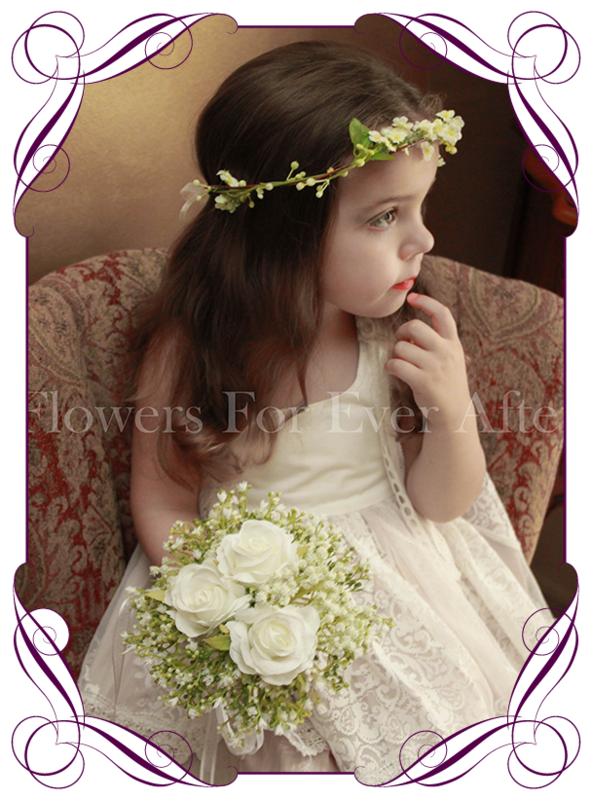 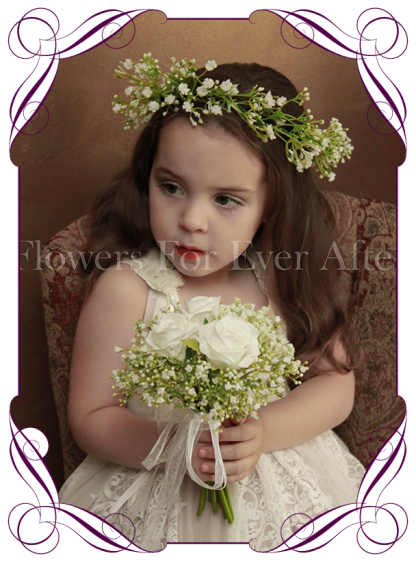 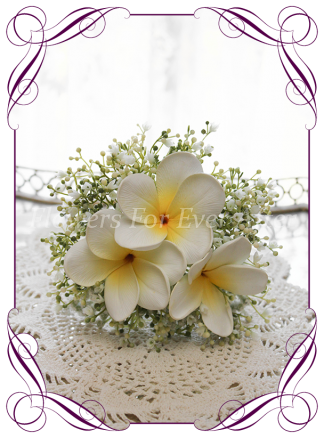 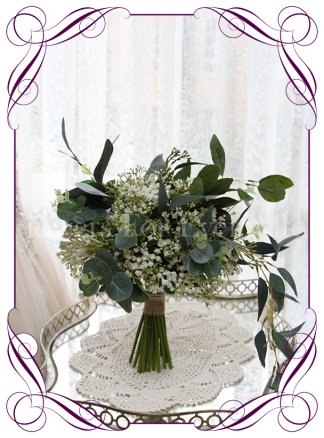 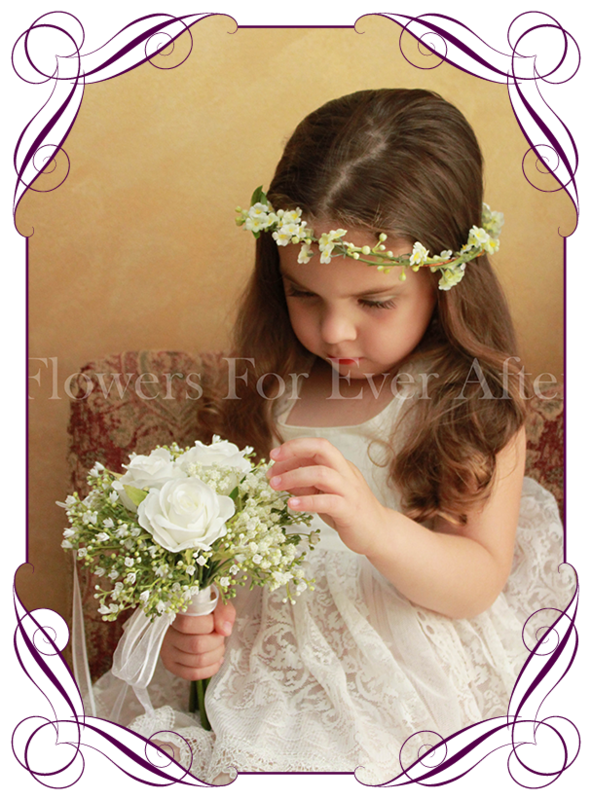 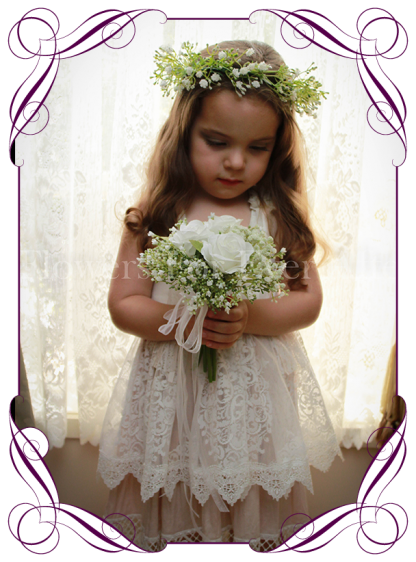 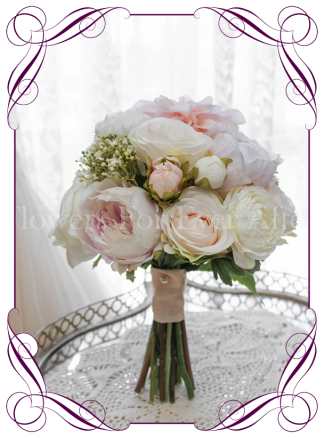 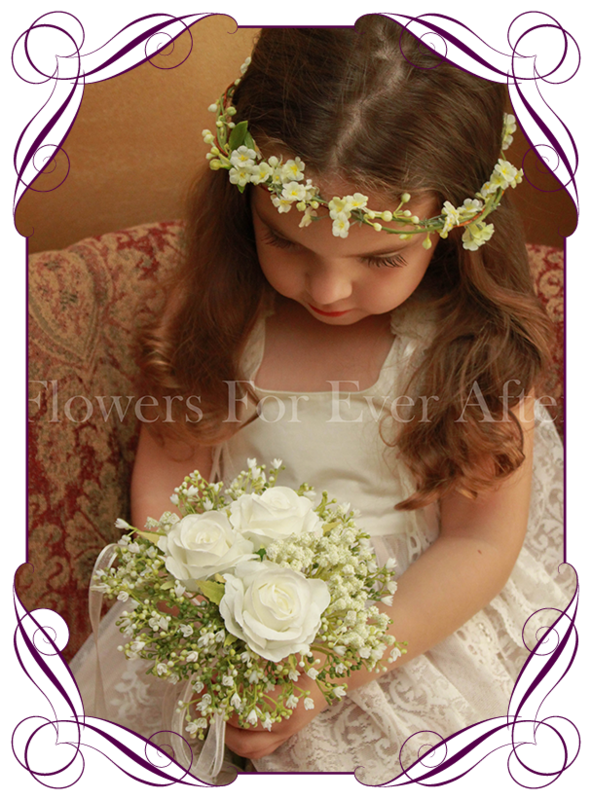 This little posy is perfect for flower girls between the ages of 18 months and 7 years. 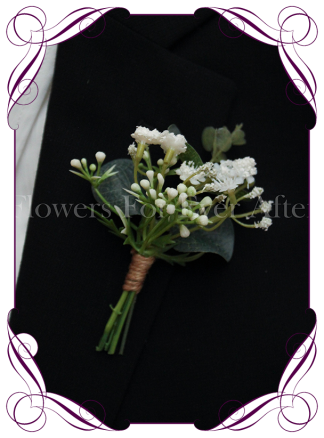 Measures 16cm across…. (pictured with a 6 year old and a 3 year old). 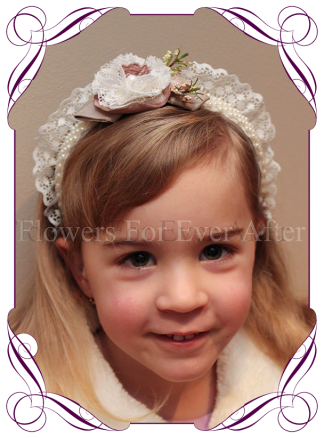 Crowns worn by models are available in separate listings.